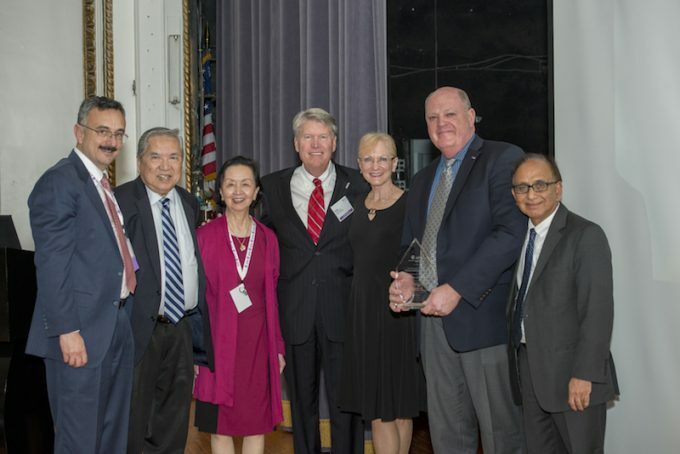 Dr. Christopher E. Forsmark, chief of the division of gastroenterology, hepatology and nutrition at the University of Florida, was awarded the prestigious Vay Liang & Frisca Go Lifetime Achievement Award at the 2016 Annual Meeting of the American Pancreatic Association, which was held in Boston this year. The award was presented to Dr. Forsmark on Thursday, October 27th, at the Awards Dinner held at the Boston Park Plaza. The Vay Liang & Frisca Go Lifetime Achievement Award was established to recognize established leaders within the organization who have served as mentors and role models for future generations of pancreatic researchers and physicians, and whose accomplishments in the field have inspired the next generation to do their best work.